The Assignment: An exercise in genre. Deadline: This project’s deadline is Monday, November 12, 2018, at 11:59pm (that is, just before midnight) wherever you are on. It was posted in the evening, California time, on Thursday, November 8, 2018. Thanks to Micah Stupak-Hahn for having proposed this project. Step 1: Consider the term “rhythm and blues.” Not the genre, just the term. Step 2: Imagine what you might think “rhythm and blues” meant in terms of music had you never previously heard “rhythm and blues” music. Step 3: Record a short piece of music that expresses the idea of “rhythm and blues” that occurred to you in Step 2 above. 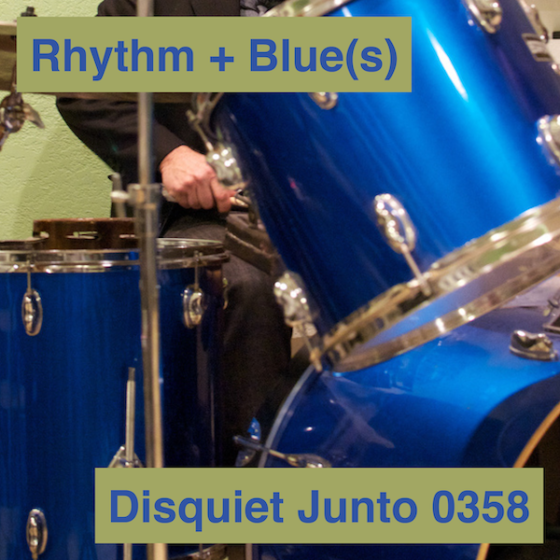 Step 1: Include “disquiet0358” (no spaces or quotation marks) in the name of your track. Step 2: If your audio-hosting platform allows for tags, be sure to also include the project tag “disquiet0358” (no spaces or quotation marks). If you’re posting on SoundCloud in particular, this is essential to subsequent location of tracks for the creation a project playlist. Title/Tag: When posting your track, please include “disquiet0358” in the title of the track, and where applicable (on SoundCloud, for example) as a tag.